In addition to MPW’s extensive extra-curricular programme, the college is keen to support students in their own ventures. Travel scholarship are awarded to students who are attempting adventurous or worthwhile overseas travel and our students have explored the four corners of the globe extensively between them. Last year, one student travelled to Nepal with Raleigh International to help rebuild a community following the devastating earthquake that the country suffered. Lara Tritton gave up her time to travel to the remote rural community of Adhikari Gaun to help with the building efforts. She also raised a considerable sum of money beforehand by completing a sponsored triathlon and holding a bake sale in the MPW reception areas. An exceptional trip which Lara describes as the most challenging and worthwhile experience of her life. 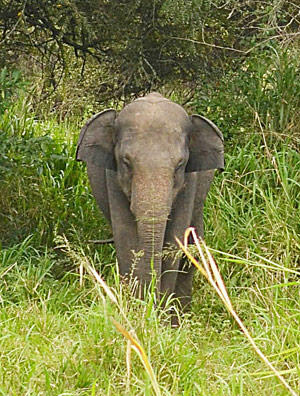 In addition to Lara’s charitable efforts, another MPW student, Phoebe Baker, supported the work of the Sri Lanka Wildlife Conservation Society (SLWCS) who make efforts to ensure that elephants and humans can live together in an area of the country where humans are destroying the creatures’ natural habitat and finding themselves in the (dangerous) heart of the Elephant Corridor as a result. Phoebe helped to record the presence and eating habits of elephants in the area and observed human behaviour around wild elephants. This taught her a lot about the surprisingly human behaviour of the elephant community and also the struggle of the farmers in their efforts to survive. These are just two life-changing experiences that MPW students have enjoyed but many more have been on trips assisted by MPW travel scholarships. Read about their experiences in full on this page.